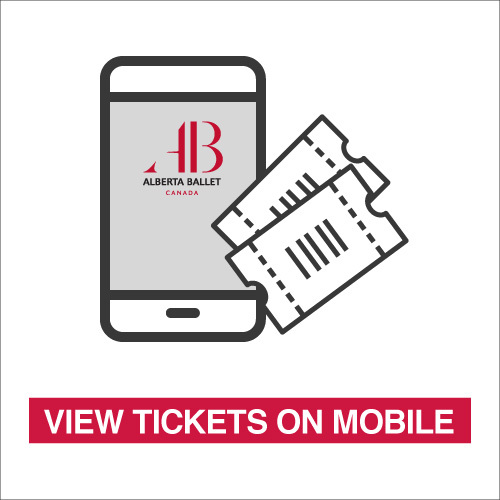 If you leave home without your tickets in-hand, Alberta Ballet is pleased to offer mobile entry. In just a few easy steps, your ticket barcode can be retrieved to your smart phone! One of the many benefits you enjoy as a subscriber is the ability to exchange tickets within the same production run. If a scheduling conflict arises, your ticket exchange is just a few simple clicks away. If you wish to gift one or more of your tickets to friends or family, all that is required is the recipient’s email address. The recipient will receive email notification of the transfer, and will be required to accept the tickets to complete the process.